Are you surprised? You shouldn’t. When it comes to reliability and general maintenance, an electric car will give a gasoline counterpart a run for their money. Most Toyota owners of the original RAV4 EV jokingly say the only thing they did on their EVs were changing the tires and put liquid for the windshield the first 60,000 miles. What is more interesting is that hybrid, even with their added complexity, i.e. a gasoline engine and an electric motor working together, are still ranking high in the reliability surveys conducted by Consumer Report. Consumer Reports 2012 Annual Auto Reliability Survey. It really shouldn’t come as a surprise, electric cars have less moving part in their drivetrains and ultimately need less maintenance. What Consumer Report’s survey tries to do is show the future reliability of 2013 models based on tracking of the reliability of similar and current vehicles up to 10 years old. By polling its 1.2 million 2003 to 2012 models leased or owned by Consumer Reports subscribers, the company can gauge what the trends are and predict fairly accurately the future success of such vehicles. What came through in the survey is that reliability was the high point this year for all hybrids and electric cars. The only one that confirmed the rule was unfortunately the Hyundai Sonata Hybrid, which scored worse than average rating for predicted reliability, according to the NYTimes’ Cheryl Jensen. I test drove the Hyundai Sonata Hybrid and found it to be a car that excels at fuel economy for long trips but left me feeling I wouldn’t own it if my daily commute was mostly urban and city driving. Hybrids. When it comes to hybrid our first thoughts turn to the Toyota Prius, which can be seen more and more riding along our roads. The Toyota Prius, the Prius V, along with the new Prius Plug-in all rated above average. Bear in mind that this is a “predicted reliability” survey. If the company continues as well as it did and even improves upon its spotted quality record, there is no doubt Toyota can lead future surveys, if not at least through mere quantity of hybrids offered and on the road. Plug-in Hybrids. We have heard a lot of nightmare stories about how plug-in hybrids, PHEVs have gone up in smoke, etc. The plug-in hybrid Chevrolet Volt scored an above-average predicted reliability. Electric Vehicles. So far only the all-electric Nissan Leaf was surveyed and showed above-average predicted reliability. One thing that should help Nissan’s bruised battery image is that the editors said it showed the best predicted reliability. Conflicting Consumer Reports. Consumer Report is no stranger to odd ratings and sometime conflicting test results. How many times has your favorite product been bashed by CR for seemingly odd reasons. This time Jake Fisher, director of automotive testing for Consumer Reports offered his thought on battery technology. He said the jury was still out on the issue of longevity of lithium-ion batteries. Strangely enough, I remember interviewing Ed Kjaer back in 2008 when Southern California Edison was testing the longevity of the then current lithium-ion battery technology in lab. The Johnson-Saft battery showed the equivalent of 200,000 miles without noticeable degradation. Newer tests have shown longevity of these batteries do indeed last longer than most gasoline engines on the market. He did add when talking about costly battery replacement: “So the whole thing about the sky falling and the $10,000 battery hasn’t happened,”. Well, there you go. But in the meantime, if the venerable Consumer Report says hybrids and electric car have shown actual and potential reliability, it must be true. Nonetheless, it is good to see the dust clearing with the hyperbole and wild claims that battery technology was expensive and wouldn’t work. As more and more electric drivetrain show up in electric cars and hybrids, Consumer Report these cars have higher than anticipated reliability. Not all hybrids are more complicated than normal cars. The Toyota Prius is mechanically SIMPLER than a normal car, which is why it is more reliable. The Prius uses a simple planetary gearset as its transmission, with just 27 moving parts, all permanently-engaged gears, no torque converter, no clutches, no gear-shifting wear and tear. That's compared to a normal 6-speed automatic transmission with has 100+ moving parts. The complexity in the Prius is not in the mechanicals. It is in the electronics and software that makes the electric motors and gas engine work in synchronization. It is no wonder the Prius is more reliable than a normal car. That's very true, 5 speed or more automatic is a seriously complex piece of machinery. Hybrids transmission, including the Volt are less complicated, to a certain point. Thankfully this is not the early 80s or else electronics would prove to be the bane of our existence. I'm interested to see how the Honda Accord PHEV will do. We have 19,500 miles on our 2011 Volt after 22 months. We have used 98 gallons of gasoline and have had the tires rotated twice. That is it. I hope to have the oil changed some day. The car runs flawlessly and is great fun to drive. You know you're going to make some people jealous. Be careful now! Have you noticed how much more your electric bill is on average each month since you started driving the Volt? I have been trying to make the $40k price tag work, but have been concerned with rising electricity prices. Yes it's more, but thankfully it is much less than the gasoline budget we had. If you use less expensive gasoline and more cheaper electricity, it works out nicely in the end. You can try your calculations with an online system, like wattpeople.com for instance. Let us know how it adds up for you. Plug-in hybrids and electric cars aren't for everyone but for those for whom it works, the savings are substantial. I can't speak for the Volt, but speaking for my Nissan LEAF, here are my stats for the first 10 months of 2012: Miles driven: 13580; electricity used: 3507 kWh. I pay $0.1029/kWh, so that represents about $360. On a monthly basis that averages out to 1358 miles/month for $36/month. Note that I sometimes charge at public charging stations so I am not counting those towards the kWh consumed (which is fair, because I didn't pay for it either). In my gas car, 1358 miles would've consumed about 58 gallons of gas, or about $217, so the savings are fairly significant. My car is now at 14352 miles and the only service it's been in for is a software upgrade and a tire rotation (both done free of charge). In 650 more miles I'll need another tire rotation and a battery check, and that's it. If this had been a gas car I would be just about due for my fifth oil change, costing another $150. I'm saving enough on "fuel" that I actually pay an extra $4/100kWh (I buy 5 blocks a month to cover my charging) to buy "green" power (i.e. from solar, wind & biomass) so that my car essentially runs on renewables. So technically this means I'm spending $56/month, but that's still a savings of $160/month. It may take me awhile to "break even", but that's okay because I'm not driving it to save money, I'm doing it to help eliminate our dependence on foreign oil and to drive more efficiently than internal combustion can offer. Hi Lance, it's good to see someone tracking his usage like that. It's hard to argue against bare bone facts like these yet some still persist. But then again, our nation wasn't built by fearful men but those who embraced opportunities. What are we complaining about anyway, more choice? We're not a good example. We put solar in four years ago and have paid an $11.00 per month meter fee since then. That is one reason we went for an electric car. Even with the extra demand by the Volt we are spending less than $100.00 per year on electricity. Hi Richard, actually I think you are a good example of people who did their homework well. I hear a lot of folks around here with solar panels paying less than $200~100 electricity a year and driving on it. If you think about it, driving on $100 a year, this goes a long way offsetting the cost of an electric car and solar panels. Gasoline is expensive in this area. I calculate that we are saving between $7,000 and $8,000 per year on gasoline and electricity combined. I believe that we are earning roughly 10% on our "investment" of solar and the Volt. That is better than we could do with conventional investments. Wow, very nice. I've been writing for years about how if you do the math carefully, it really makes sense and you can see returns much sooner than you think. Of course, if you live in one of those expensive states, the returns will be sooner than expected. It's good to hear people like sharing your success stories. We may not be a good example. We put installed solar four years ago and have paid an $11.00 monthly meter fee since. This is why we leaned towards an electric vehicle. 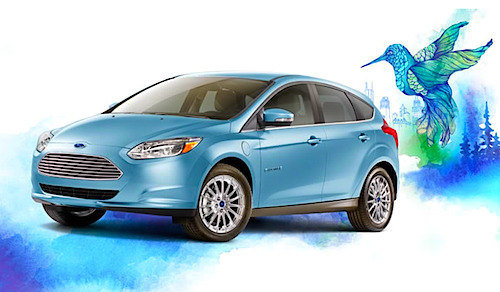 The extra demand by the Volt has raised our electric bill by less than $100.00 per year. "The only one that confirmed the rule was unfortunately" It did not confirm the rule, it was contrary to the rule. You do not bare in mind you bear in mind. "battery showed the equivalent of 200,000 without noticeable degradation." Would that be 200,00 charge cycles or strawberries or what? "shown longevity of these batteries do indeed last longer than most gasoline engines" for Christ sake, is there no one to proof read. Do you mean the life of these batteries is longer than the life of most gasoline engines? Yes, you guessed it, we make mistakes, plenty of them as you so rightfully point out. Them is mistakes, in case it wasn't clear. If you want to be my proof reader, just sign your name and send me an email, then don't faint when you see how little it pays. The one that confirms the rule is a frequently misused idiom. You hear and see it very often like everyone else. For more information: http://en.wikipedia.org/wiki/Exception_that_proves_the_rule Yes, the article was a "bear" to write. ;) Breath in and out... That 200,000 cycles, and not whatever you meant by 200,00. It always cracks me up to see someone correcting me and making a mistake. I guess it's proof that we are humans but don't always have a lot of tolerance. As I reread "shown longevity of these batteries do indeed last longer than most gasoline engines", I'm wondering how else you can understand it. It seemed to have been plain enough to most people. But then again most people understand how to put things into context. Thanks for catching the typos.